We continually ask this question amongst ourselves here at Countryway, what do we think are six of the best air rifles under £500? 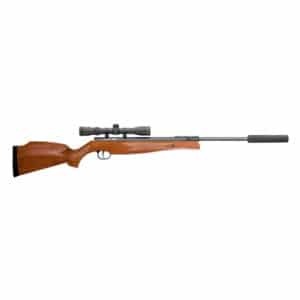 You will find that we stock a large selection of different types of air rifles within this budget, and opinions will change depending on whether you are looking for a spring air rifle, or pcp air rifle. The £500 budget will cover the majority of different spring powered air rifles from the beginner packages such as the Hatsan Breaker 900x, to the top end springers such as the Weihrauch HW97K. Most spring rifle packages between £100-£200 will generally include a silencer and scope in with the rifle. These are good packages to get yourself going and enter the sport of air rifle shooting. From £200-£500 you start the find the higher quality spring rifles, such as the Weihrauch range of spring rifles. 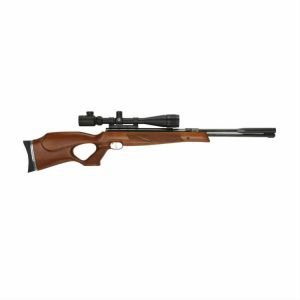 Between £400-£500 you will find the majority of entry level pre-charged air rifles. Although they can be called entry level, most of the rifles within this price are very good value for their money. One of the most popular pre charged air rifles under £500 is the Walther Rotex RM8. The Walther RM8 features a buddy bottle to provide a high shot count, and the rifle is also regulated, giving a consistent shot every time. I think the Walther Rotex made it’s way in to all of our top 6 air rifle selections. You will find each of our top 6 air rifles under £500 below. The Gamo Phox air rifle package will give the Walther air rifle a run for it’s money. Although the Gamo Phox is not regulated, and you get a slightly lower shot count, you do get great value for money. The Gamo Phox package includes a silencer, rifle scope, rifle bag and stirrup pump. Which is a great deal for under £500. Everything you need to get going. There is such a wide selection to choose from when looking for the top six air rifles under £500. Between us staff here, it took quite a bit of discussion as to who was right and wrong with their top 6. This just goes to show that there is plenty to choose from within this budget and a lot does come down to what type of air rifle you are looking for, and personal preference to the style of air rifle that you like. 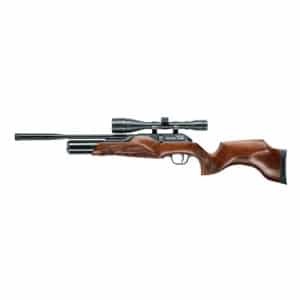 Please feel free to take a look through our website at the wide range of air rifles available. 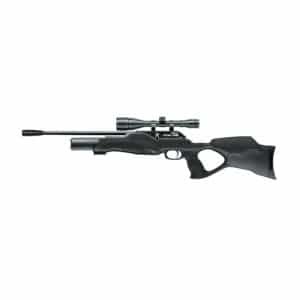 On our website you can easily browse through the different air rifles by either selecting the different brands, or by using the price slider to filter out certain rifles.